28.11.2018. “Be curious – stay on the ball” was the motto of this year’s “Trainee Days” event for Friedhelm Loh Group apprentices, held at the Gnadenthal Monastery near the town of Bad Camberg. The trainees covered the topic of curiosity and distraction in the age of digital transformation. The projects were presented to a jury of top management members. Professor Friedhelm Loh awarded the prizes to the winners. Besides the discussion about values and how to communicate them, the focus was also on the tools of the trade for team and project work, as well as on moderation and presentation. The 55 trainees interpreted the workshop topic during the two-day workshop in June and in regular project work over the months that followed. They showed why, from their point of view, it was important to remain curious and – at the same time – discover their own personal focus. Now the results have been presented to a jury of top management, representing a chance for the trainees to apply the moderation and presentation techniques they had learned immediately. The digital transformation has long since taken hold in every area of life, especially in the generation of the trainees. It is opening up completely new possibilities for curiosity and knowledge, but also amplifies the effects of distraction and diversion. The key question for the award-winning projects was consequently: How do young, digitally networked people find the right balance between a healthy curiosity about information and their peace of mind, so that they can concentrate on their personal goals? 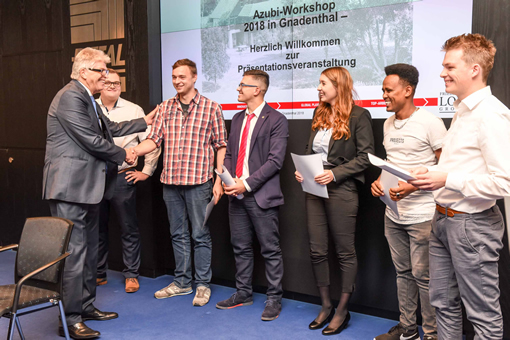 The jury was particularly impressed by Niklas Edelmann, Fnan Kahsay Nuguse, Dennis Niklas Petzold, Jessica Schweizer and Hüseyin Tekin. They showed how childlike curiosity and discipline can lead to tangible benefits in a humorous way. 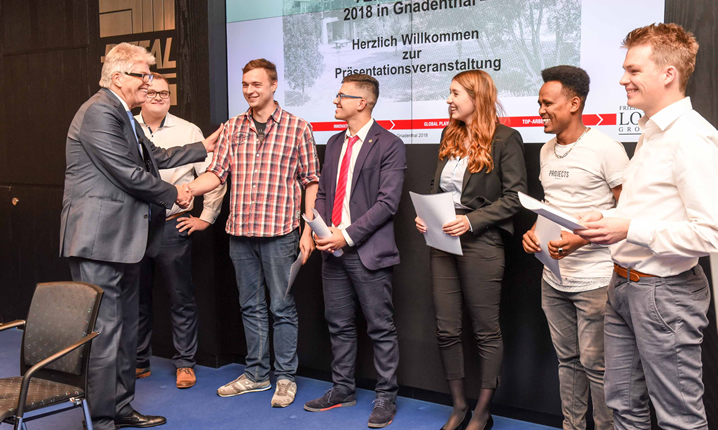 They won the first prize, a three-day stay in Leipzig, including a visit to the Porsche plant and a visit to the Zeiss Planetarium for their film on “Curiosity and the Digital Transformation”. Runners up were Tom Niklas Becker, Olivia Bräutigam, Felix Halfmann, Lukas Klonk and Max Stiel. They will be travelling to Munich for two days to visit the BMW factory and the Bavaria film studios. Third spot went to Lorenz Janke, Michael Leischner, Hanna Meier, Raphael Schirmuli and Nils Vreemann. Their price is a day trip with a tour of the Opel factory. Image: Humour, curiosity and discipline: The winning team (left to right: Dennis Niklas Petzold, Collin Prange, Hüseyin Tekin, Jessica Schweizer, Fnan Kahsay Nuguse, Niklas Edelmann) at the Trainee Days event convinced Professor Friedhelm Loh with a video project dealing with “Curiosity and the Digital Transformation”.